As a member of the automotive industry, you know that success is a numbers game. Your success depends on the number of ready-to-buy customers that come through your door. The automotive industry depends on the success of every vertical within the industry, from design and manufacturing to sales and repair and everything in between. Email marketing, which has a median ROI of 122 percent, has been reported to bring in up to $38 for every dollar spent when fully optimized for success. The automotive industry can easily take advantage of this powerful and cost-effective marketing tool. Begin by looking at your average client. By the time they reach you, they have spent numerous hours researching on their own. They already know what they want, and they know what they are willing to pay for it. All thanks to the internet. 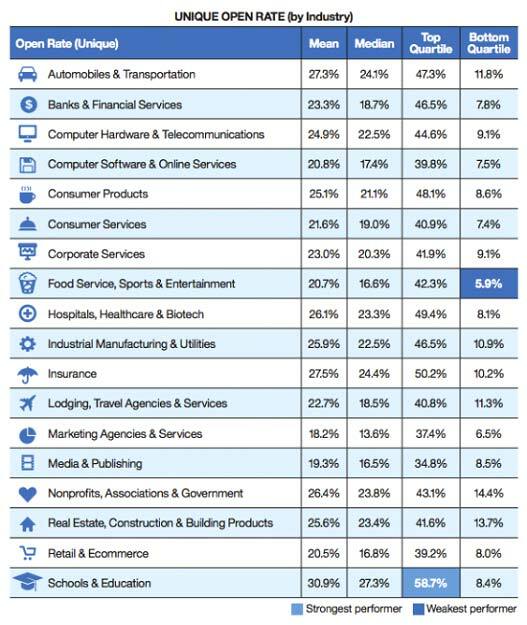 Just look at these email open rates per industry. The automotive industry ranks among the most successful. 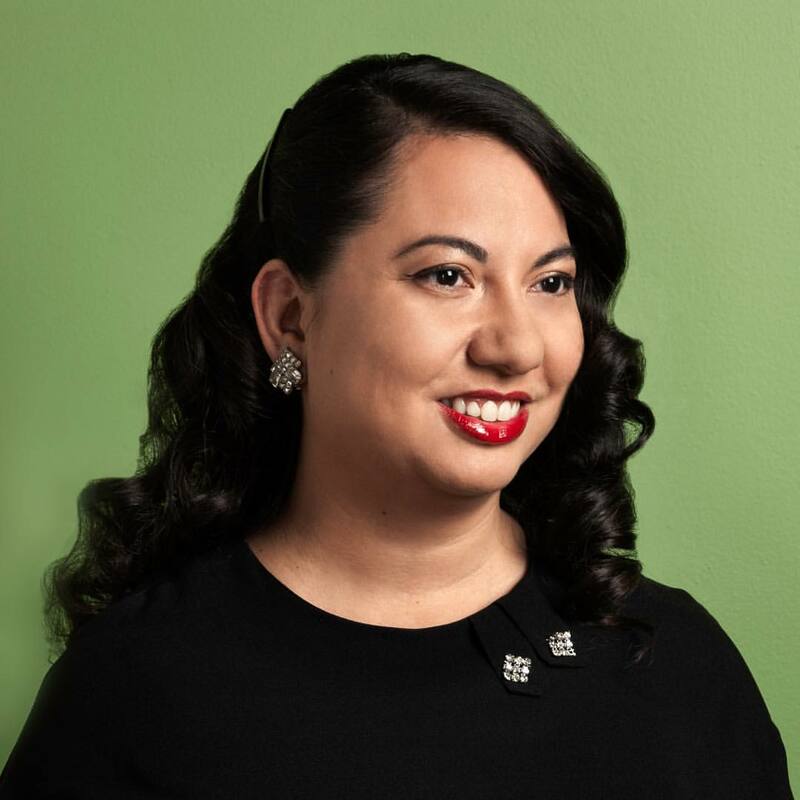 So, why miss out on the opportunity to connect to your market and build a relationship with them before someone else does? Whether you run a large multi-location operation or a family-owned dealership, email marketing is a cost-effective way to attract new business and stay in touch with your existing clientele. Keep reading to pick up some tips, templates, and tools you can use to conduct an email marketing campaign successfully. 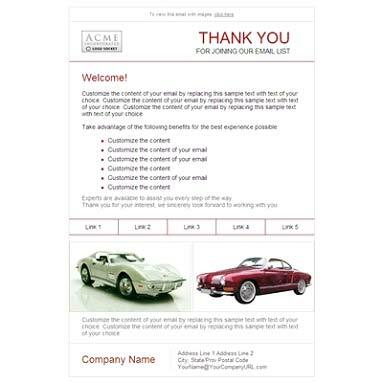 The first step to using email marketing for your automotive business is to build a list of recipients for your messages. While going through your existing contacts is a great place to start, only about 30 percent of your subscriber list will come from your current customer base. You need a strategy to reach out to them. If you operate a storefront, you can run a drawing and request that people put their business cards in a bowl to participate. You can also ask people to share their email addresses when they pay for their purchases. The key is to get people to give you permission to use their email address in the future. To make people more willing to share their contact information, be specific about why you are soliciting this information and what you plan to use it for. Automotive customers are very focused on doing internet research before committing. This means that they are visiting your site, probably multiple times, before they decide to make contact. 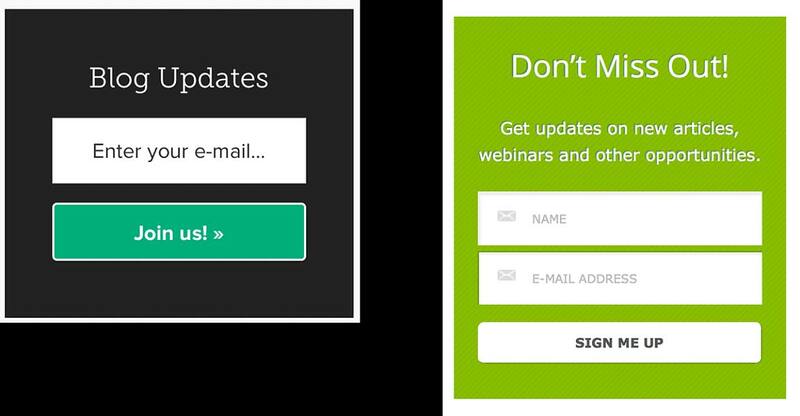 This is a perfect opportunity to highlight your email subscription through a simple opt in box. Put a signup form on your website’s landing page in a visible location with a call to action for people to register to receive your emails. To entice people to sign up, you can offer them something like regular product updates or a discount on their next purchase. As you build your list, you’ll learn about your target audience. 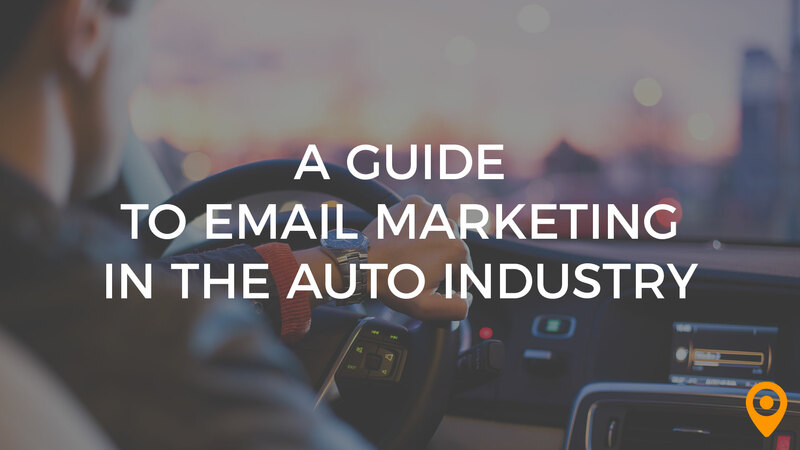 Over time, you’ll probably notice that people with certain traits are more likely to sign up for your automotive newsletter than others are. Based on this information, you can create a profile of your ideal subscriber, which can help you adjust how you solicit new subscribers in the future. For example, you might notice that clients who have made purchases and now belong to a loyalty program for service and repairs are more likely to subscribe because they have reason to stay in contact with you. This provides the opportunity to brainstorm ideas to keep other segments of your audience engaged on the same level. Managing an email campaign is hard work. Save time and be more efficient by choosing the right email service provider. You have many choices when it comes to email service providers, such as AWeber, Mailchimp, Constant Contact, and Campaign Monitor, to name a few. Review what these providers offer, their fees, and their ease of use before you choose one to make sure it’ll be a good fit. Once you’ve chosen your email service provider, you’ll need to set up your email campaign. In general, email service providers make this easy to do by walking you through the process. You’ll be able to choose the template you want to use and schedule your emails with ease. When you’re choosing your template, remember that it will determine how your newsletter looks. If you’re torn between a fancy template and one that’s easy to manipulate, it’s often better to err on the side of caution and use the more basic template, especially if you’re new to email marketing. Here are few examples of great templates for the automotive industry that are engaging and easy to adapt to fit your needs. Although email service providers try to make sure your messages aren’t blocked by ISPs, there’s no guarantee your emails will get through to your recipients. The best way to ensure your emails reach your recipients is to get whitelisted. Getting whitelisted basically means that your recipients have recognized you as a friend by adding you to their address book. To achieve this, provide instructions in your messages, especially your first email and initial follow up. You need to decide how often you’re going to send emails and let people know when they can expect to receive them. Review your schedule and be realistic about how often you can create and send high-quality newsletters. Keep in mind the optimal level of frequency. For example, you might get a better outcome by providing more frequent emails to subscribers who are still in the early stages of considering a purchase, as compared to subscriber clients that come to you for semi-annual maintenance. Send emails out frequently enough to stay on their minds in relation to their current need, but not so frequently that your emails take on a sales pitch feeling, or even worse, a tone of desperation. 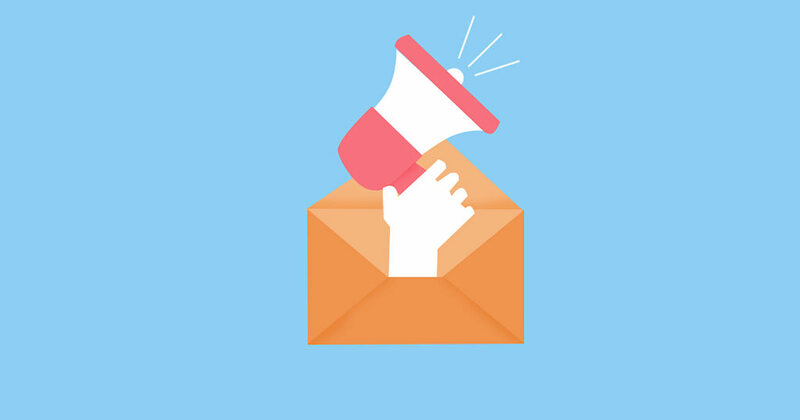 If you told your audience that you’ll send them newsletters weekly, then that’s what you need to do once your email marketing campaign is underway. Imagine how upset a potential client would be if you promised to send product updates weekly and you failed to deliver. That person may have been waiting for information about the car parts you sell before placing an order with you. How likely do you think if will be for that individual to order costly automotive parts from you if you fail to deliver a digital newsletter in accordance with your own timeline? Just like you need to deliver messages when you say you will, you shouldn’t send newsletters when they’re not expected. In other words, don’t take advantage of the privilege of having someone’s contact information by flooding their inbox with too many emails. Every message you send needs to provide value for your audience. This is essential if you want people to continue reading your newsletters. Sometimes value may mean offering a discount on the automotive items you sell, informing people about a special, an exclusive promotion, or providing links to interesting articles. You need to figure out what’s meaningful to your audience and ensure that every newsletter you send includes something your recipients will view as valuable. Once you identify the things your recipients consider valuable, you should create insightful content about these topics. Even if you’re just sharing a link to an article your audience will find interesting, you should still draft a short paragraph or two that explains why the link is relevant and gives an idea of what a person can expect when they click on the link. 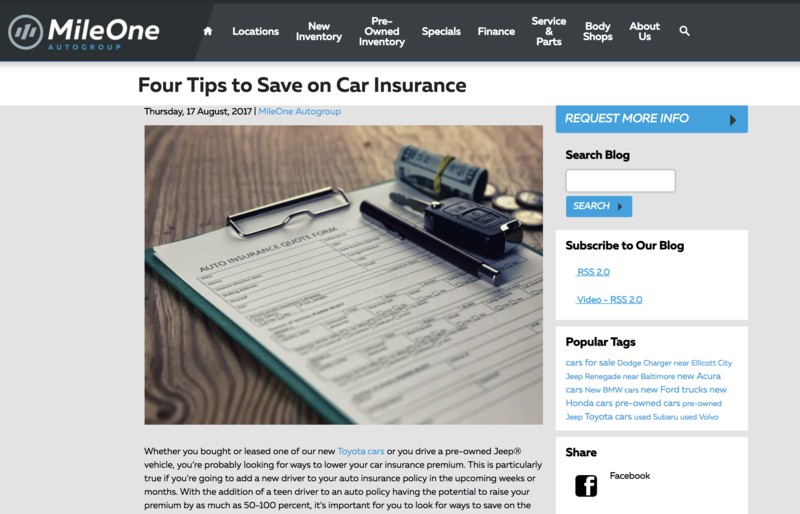 The MileOne Automotive Group blog intersperses posts about new car models with quick guides that address common questions asked by customers. These kind of blog posts can be promoted via a drip automated email campaign. Car comparisons, such as family cars, fuel efficient cars, etc. Are additional warranties really worth it? What brand or model would be a great first car? An email marketing campaign is a great way to establish yourself as an authority in your niche. To do this, your content must remain focused on topics that are directly related to your business and your audience. While sharing information about the auto industry in general isn’t a bad idea, try to focus on information that relates to your part of the industry. If you sell parts to people who already own vehicles, information about the up- or down-swings in national automotive sales is probably not going to resonate with your audience. If you sell cars for a living, selling things may come naturally to you. Even if that’s the case, very few people will look forward to getting a newsletter if it includes one solicitation after another. Remember, the people on your subscriber list may have already made a purchase from you and it may be several years before they plan to make another one. With that in mind, you should temper your sales pitches and include them in your newsletters judiciously. The point of your newsletter is to build relationships with your recipients that will be mutually beneficial over the long-term, not make a one-off sale. As you gain subscribers, you’ll be able to segment your audience into separate groups of recipients based on their interests and, perhaps, how they signed up to receive your newsletter. Doing this gives you the chance to create content that speaks more directly to each group, which can greatly improve your results. If you sell cars, you can create a campaign for people who love SUVs, trucks and off-roading and a separate one for people who are fond of muscle cars, for example. 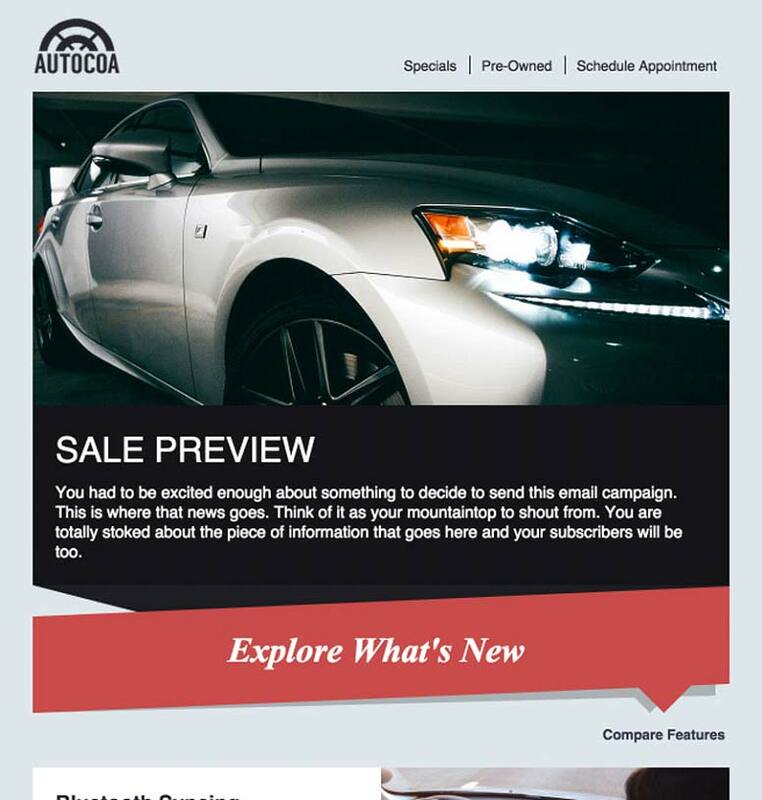 If you sell parts, you can create separate campaigns for your wholesale and retail clients. If you have created a subscriber list based on referrals, keep them in a separate segment until they have had a chance to warm up to you and you have a better understanding of what their immediate automotive needs are. As they are in any campaign, analytics are important in your email marketing campaign because they will gauge the success of your newsletter. 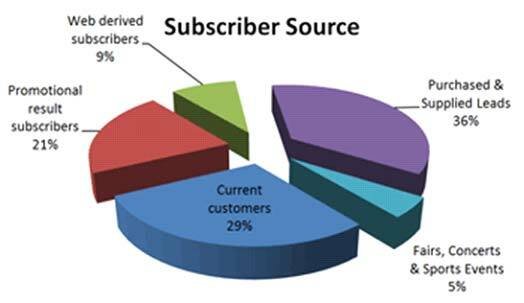 Any reputable email service provider will give you access to analytics for free. 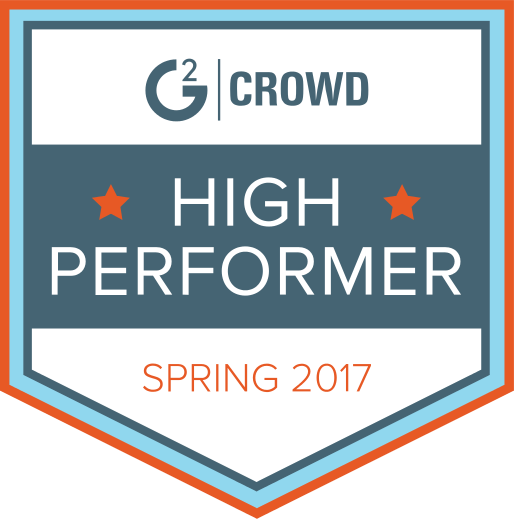 While there are many key performance indicators you should look at, the top three are your open rate, click through rate, and unsubscribes. If your open rate is low, it means people aren’t reading your newsletter and you need to improve the value you’re providing. If your click through rate is poor, your messages are either not being received or your content needs to be more finely tuned to inspire action among your recipients. If people are unsubscribing from your newsletter faster than they’re signing up for it, it’s time to get some professional help with your email marketing campaign. Running the day to day operations of a car dealership may leave you with little time to dedicate to crafting email campaigns. If you need help with creating content, segmenting your customers, or reviewing the effectiveness of a campaign, it’s time to connect with an automotive marketing agency near you.